Summary: A sermon examining certain issues you may encounter inside the local church. There were a couple of church events that I would have loved to attended this week. The Men of Memphis conference took place at Bellevue Baptist Church in Memphis, Tennessee. Also, Woodstock Baptist hosted their annual Johnny Hunt Men's Conference over in Georgia. Though I was unable to be there in person, I did have the opportunity to go online and watch portions of these events. I realize it was nothing like being there in person but it was still great to see God move in these churches. We have a similar opportunity when reading portions of God's Word. You and I can get a glimpse inside churches from nearly 2,000 years ago. 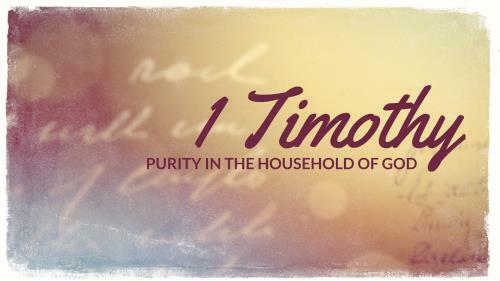 Last week we began the conclusion of our study of Paul's Epistle to Titus. Through Paul's closing words we are able to take a look inside a church that existed thousands of years ago on the Isle of Crete. I would like to pick up where we left off last week and continue to take "A Look Inside The Local Church". There was no shortage of foolishness in the church at Crete. Paul wrote about the trouble brought on by the Judaizers. In verses 9-11 he told Titus how to deal with the "Heretics" in the church. This word "Heretic" literally means "schism". It speaks of those that would cause division in the church. When there is trouble or "foolishness" in the church, the focus is taken off of Jesus. This brings a whole host of problems. Even with the troubles that were present in the church at Crete, there were still some good things going on inside that assembly. And I am glad to say that you can find each of these attributes here in Stockdale Baptist Church. II. YOU CAN FIND FELLOW LABORERS IN THE LOCAL CHURCH - v12 When I shall send Artemas unto thee, or Tychicus, be diligent to come unto me to Nicopolis: for I have determined there to winter. 13 Bring Zenas the lawyer and Apollos on their journey diligently, that nothing be wanting unto them. A. Titus - Obviously Titus was dear to Paul and vital to the ministry at Crete. B. Artemas - He is not mentioned anywhere else in the New Testament but history tells us that he eventually became the bishop of Lystra. C. Tychicus - This is a man who had proven his worth to Paul in the past. Twice Paul had sent him from Rome to Asia during his first imprisonment. In Ephesians 6:21 Paul refers to Tychicus as a "beloved brother and faithful minister in the Lord". What a great testimony! D. Zenas - He was a lawyer, (a Jewish scribe) who had been converted and was a faithful follower of Christ. E. Apollos - Acts 18:24 tells us that Apollos was an "eloquent speaker who knew the scriptures well. He too was a Jewish convert. You probably remember Paul referencing his name in 1 Corinthians 3:6 I have planted, Apollos watered; but God gave the increase. It is likely that Zenas & Apollos were the couriers of this epistle, bringing it to Titus personally. What I find so encouraging about this group of men is the willingness to go where they were needed. Also, it seems that they were willing do whatever needed to be done. This is the kind of cooperation that you will find among people who are focused on serving Christ more than glorifying self. Titus had been sent to Crete for a season and now he was needed elsewhere, and he was willing to go where he was needed. 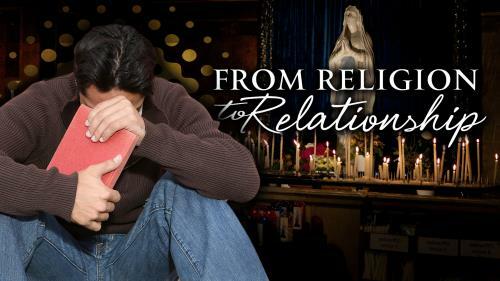 A sermon examining certain issues you may encounter inside the local church.